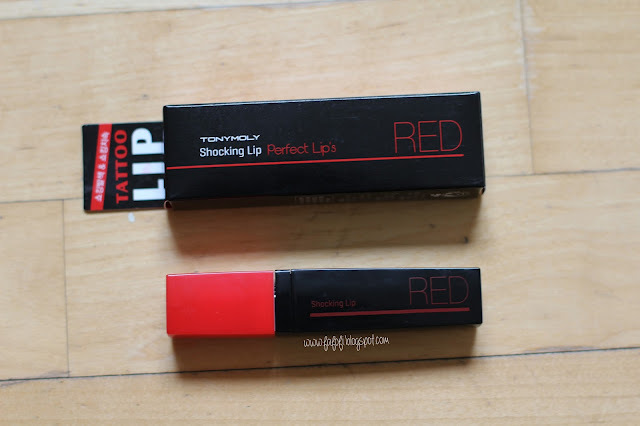 Tony Moly Perfect Lips Shocking Lip: Red - Review! 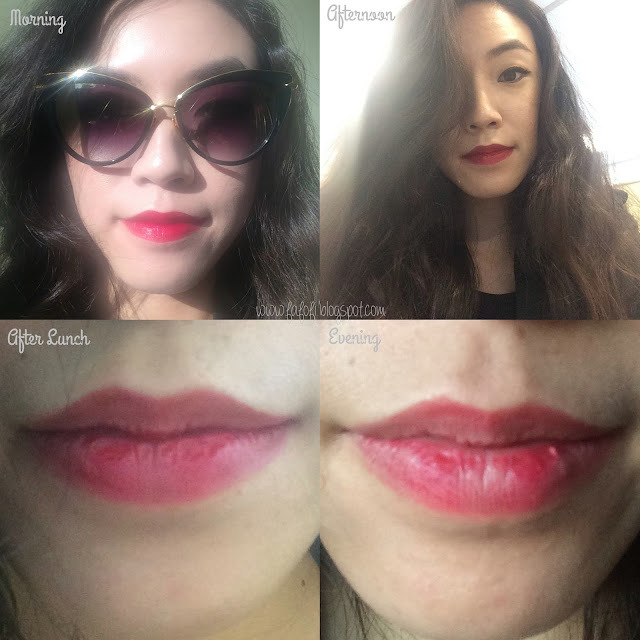 As I say over and over again on this blog, my true weakness is lip products. Lipsticks to me don't require too much skill in application and I can always count on a bright pop of color to elevate my mood. If you know me–I'm looking at you Malucent Makeup–you know that my ultimate kryptonite is a red lipstick. I have a million reds, but I always, always want more. 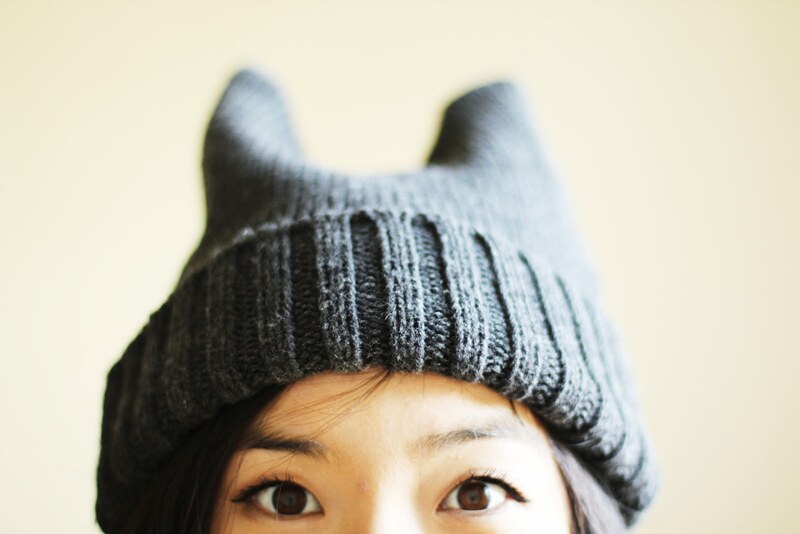 TLDR: I like it! The longevity is pretty good. I needed a reapplication after eating a spaghetti bolognese lunch, but other than that I was impressed with the staying power. 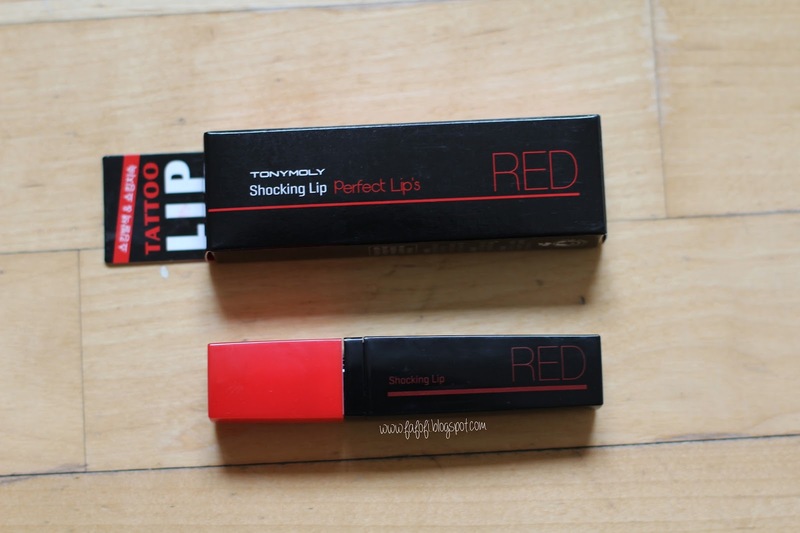 It's a deep red that makes my teeth whiter and I like the consistency of the formula. It's not drying, but it's not moisturizing either. It also smells like a fruit roll up. 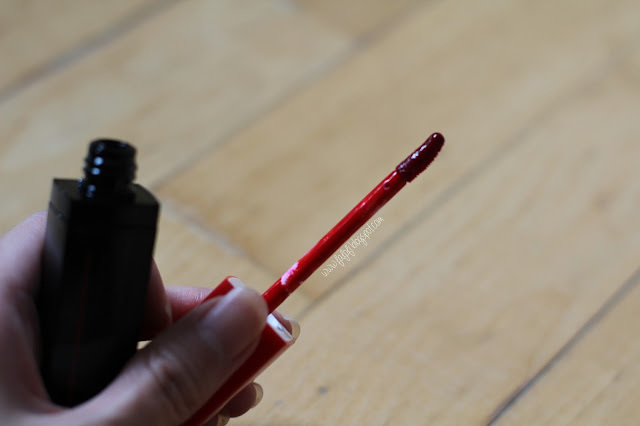 The Tony Moly Shocking Lip was pointed out to me by the sales associate when I asked about her favorite item in the store. She told me that the lip stain was new and that you had to be very careful during application, because it stains and sets. If you mess up or go outside your lip line, you're done. I was totally sold when I saw a giant cardboard cutout of Tony Moly spokeswoman HyunA rocking her signature red lip using this product. This was the most expensive of all the lip products I walked away with. For $22, you get 7 grams of product in a large container. The packaging is pretty big, so you won't easily be able to slip this into your clutch if you're going out, but you don't need to worry too much about re-application. What the sales associate said was totally true. This lipstain has a a traditional doe-foot applicator and is very easy to apply. Just to reiterate, be careful during application and feel free to use a lip brush for even more precision. 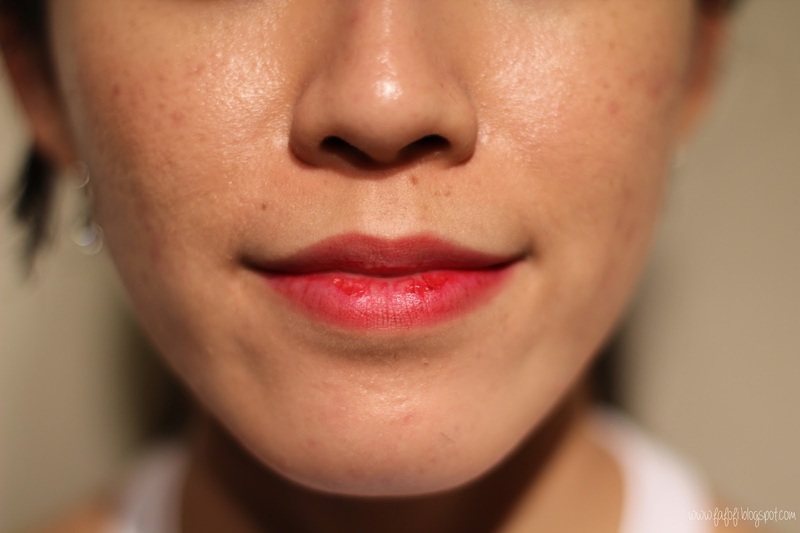 The consistency of the lipstain is somewhere between a lip lacquer and a water stain, but to me it most resembles a gel. 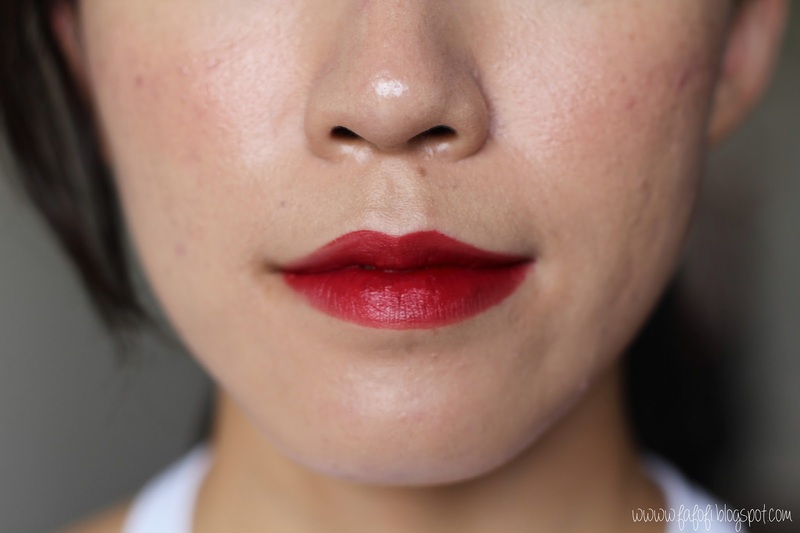 This might actually be my favorite red lip product at the moment, not only because of it's longevity, but also because it stains a deep red and has a demi-matte finish. It also smells really fruity and tasty–think fruit roll ups–even though I'm 1000% sure you're not supposed to eat it. 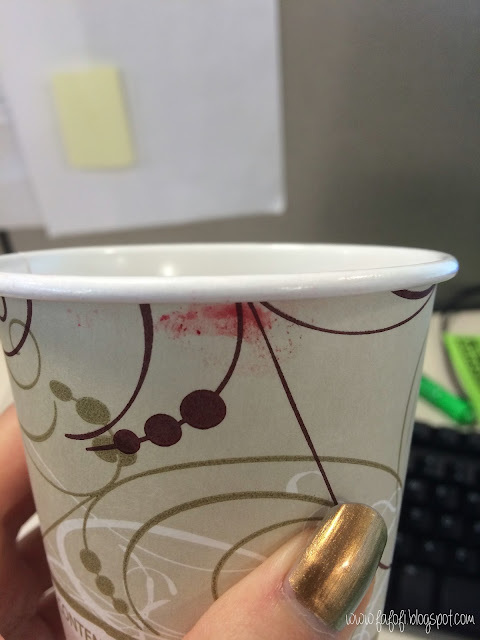 It's not as drying as traditional lip stains, but it's certainly not moisturizing either. I purposefully didn't reapply the lipstain just to see how long it would last and I think it did pretty well! Even though it looks a little patchy, my lips are still colored. 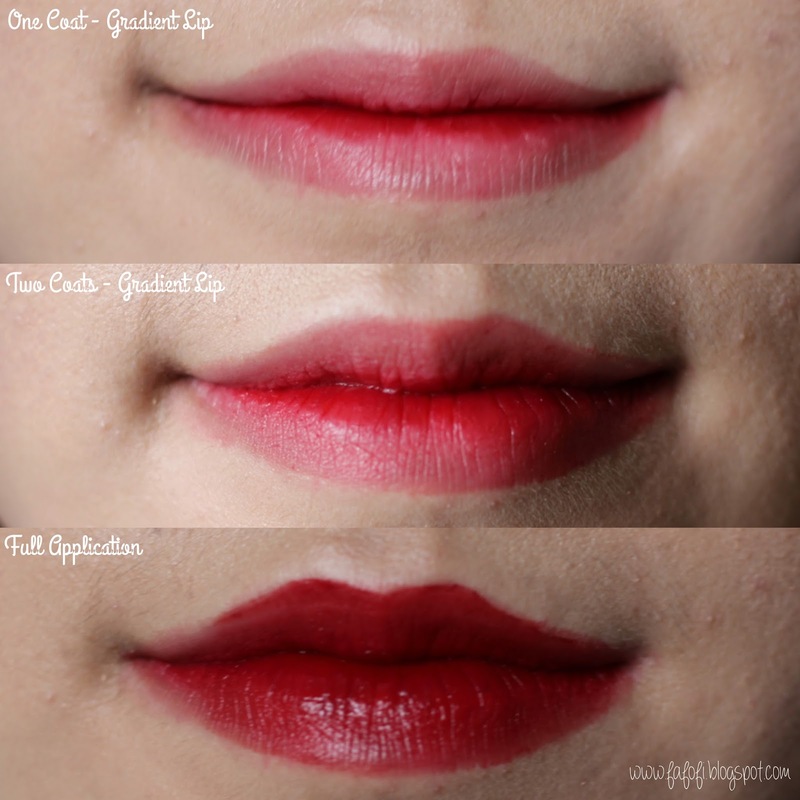 Also, if you layer your lipstain the longevity goes way up. 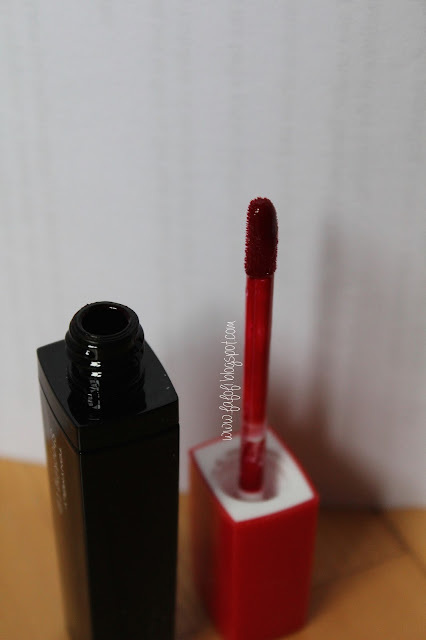 Just to do a true test of longevity, I applied one swipe of this lipstain before I went to work (at 7:30am) and took pictures throughout the day to see the wear. The last photo I took was at 6:30pm when I got home. I applied lip balm to make sure that my lips would stay hydrated, and I think that negatively affected the staying power of the stain. When I got to work I got my usual cup of water and I noticed some transfer on the rim. My top lip also tinted the water pink. You can definitely see in the last two photos that my lips are chapped and dry. I could have probably gone with a quick reapplication after lunch, but it still seemed to hold up pretty ok. Without the lipbalm, I think it would have lasted a little better. 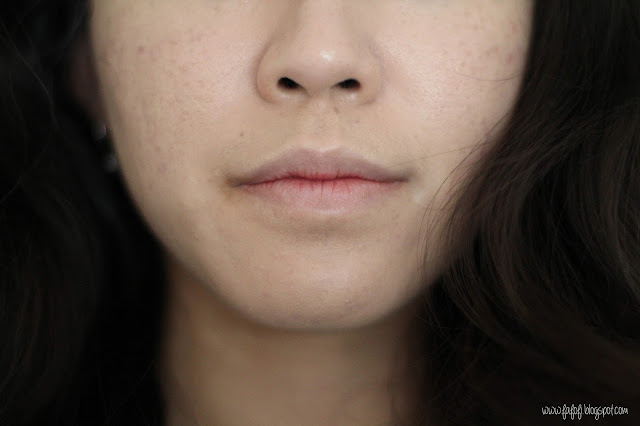 I also like this stain because you can layer it pretty well and use it to do the "gradient lip" that's so popular in Korea. Overall, I like the formulation. It stays on pretty well, it smells good and comes in three additional colors: Pink Shocking, Ruby Shocking and Orange Shocking. Although it is a little pricey, I may have to pick up another one of these. Thanks for reading and also thank you to Synthia Maramis for requesting this review! I hope it was helpful!